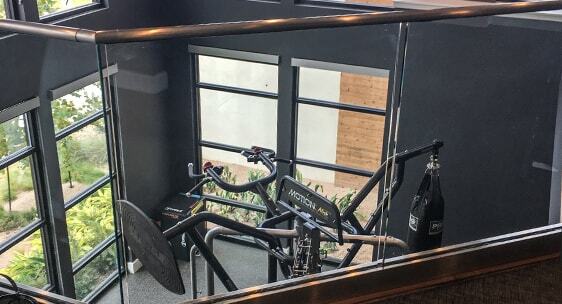 This upscale apartment complex in San Antonio, TX utilized our Fully Frameless Glass Railing in a unique application. 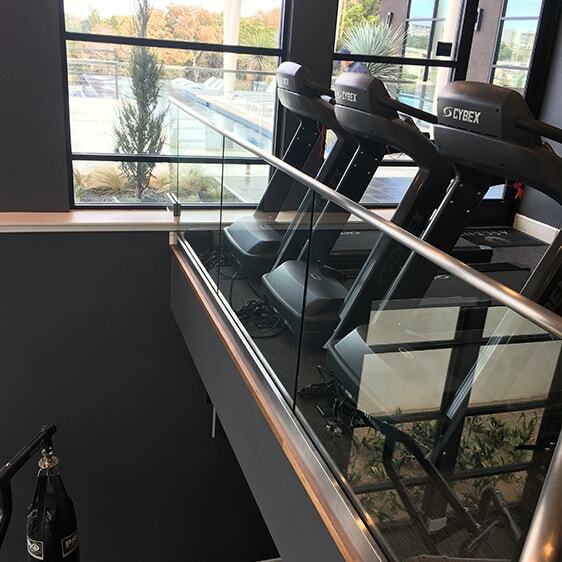 It serves as a clear-view guardrail between the upper and lower levels of the community gym. 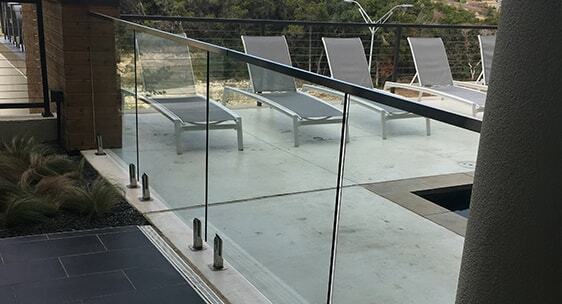 Our frameless glass pool fence was also used as a small partition to the outdoor pool deck. The modern look of the brushed stainless steel and frameless glass fits with the property’s “contemporary Hill Country living” aesthetic.